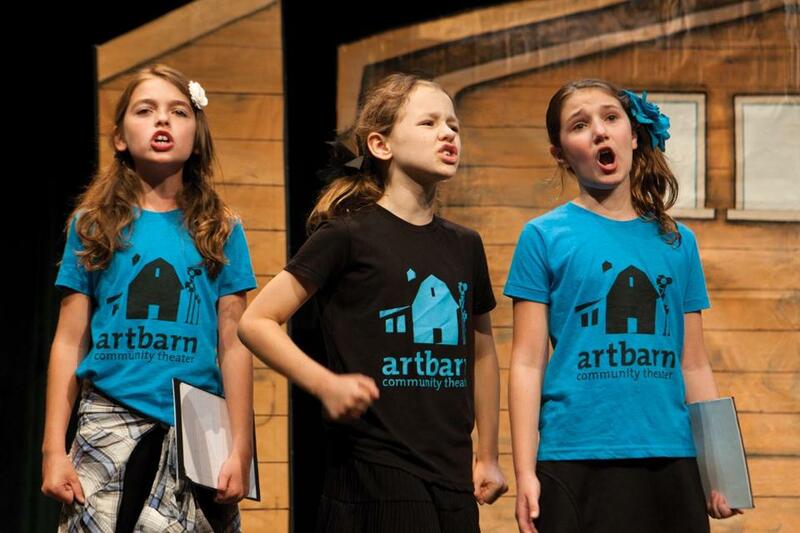 Troupe members Olivia Sheehan, 10, Gwendolyn Sell, 9, and Molly Kleiner, 12, voice their feelings of failure as they sing to the audience. BROOKLINE — It’s set in a place many of us have been to — summer camp — and deals with a topic we all have faced — abject failure. Onstage, five young actors portray campers, each writing home to describe what seem to them earth-shaking setbacks, from trouble at a daunting zip line to difficult sailing lessons. Soon, they are joined by five other young people, portraying their “voices of failure.’’ Over a half-hour of twists, turns, and catchy piano music, the initially distraught campers come to terms with failure, even befriending the “voices” that represent it. It’s called “Dear Failure: A Message to Mistakes,” and it’s the latest musical from the Out of the Box troupe at the Brookline-based Artbarn Community Theater. The performers are all fourth-, fifth-, and sixth-graders at Brookline public schools. 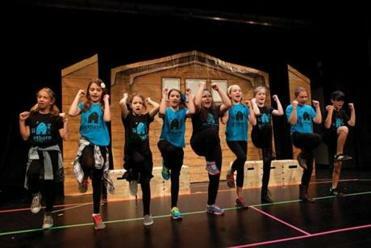 In the past, they’ve staged their original, socially relevant shows before audiences of their peers, touring all eight of Brookline’s elementary schools. On Sunday, Oct. 18, they step out on a wider stage, performing twice at the Boston Children’s Museum. In its 11-year run, the troupe has dealt with topics ranging from popularity and individuality all the way to recycling. Each year, at the end of the tour, Kossack and the students come up with the theme for following year. This year’s theme seemed particularly relevant to members of the troupe, who were interviewed after their performance at the Pierce School. Said Bella Engelend, 11, a Baker School sixth-grader: “A lot of kids sometimes can doubt what they do in school, doubt their grades, doubt what they look like, doubt what they’re wear, but I think that you should probably just stick with it because . . . it doesn’t matter what people think of you. Out of the Box will perform at the Boston Children’s Museum Sunday, Oct. 18 at 11:30 a.m. and 1:30 p.m. Both shows will be interpreted in American Sign Language.Cynthia Chen can be reached at cynthia.chen@globe.com.